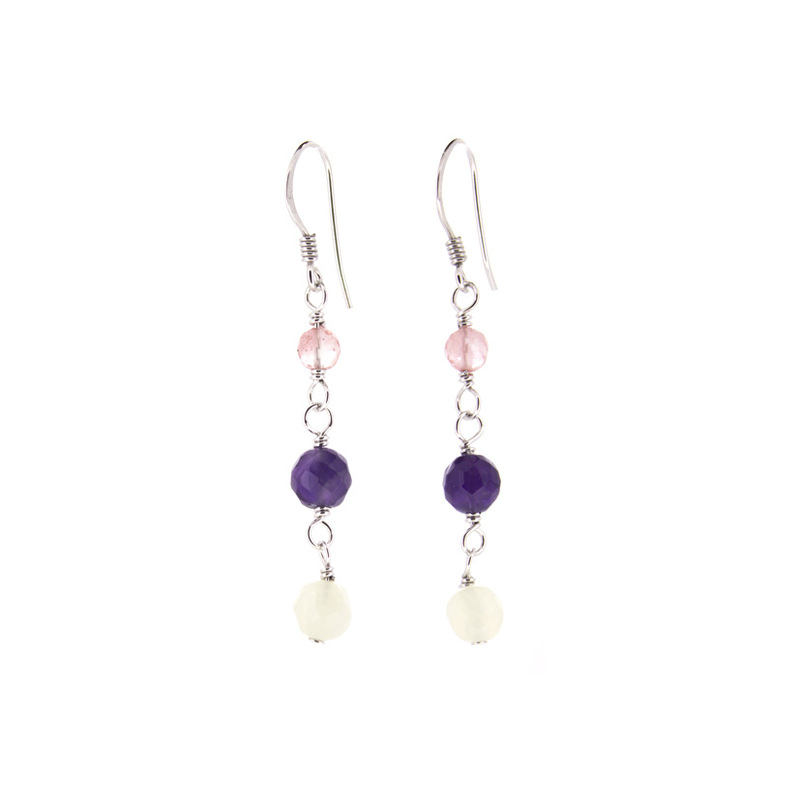 Earrings in silver of 925 thousandths with natural stones, close hook Hippie 48 mm. Elegant design of the Stradda firm. We deliver in case original Stradda.